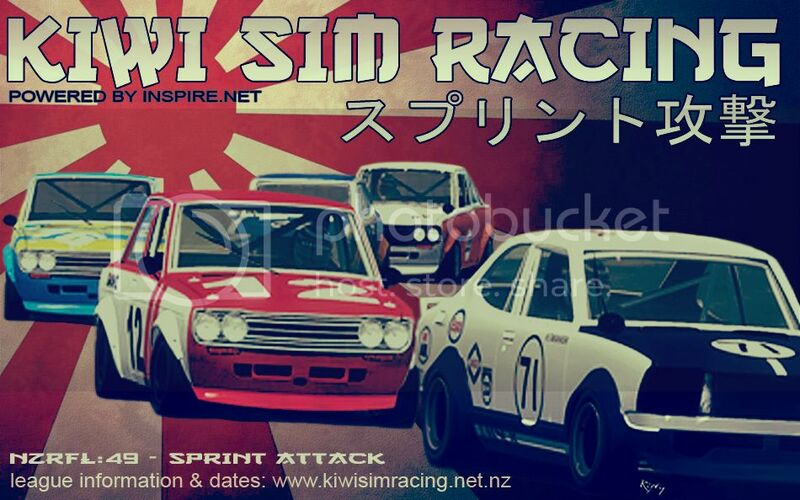 Round 5 of our Kiwi Sim Racing スプリント攻撃 - Sprint Attack series takes us to some place called England. This track is much narrower and faster than Mores, so will be interesting to see how the racing adjusts. We'll run weights again this week. I have race 3's weight from last week save, so will use that as an initial basis for race 1. Not able to join server tonight - Different Version ??? Yeah, rFactor 2 had an update on the weekend - will just be a case of Riven needing to update the server. Just joined the server, all seems fine.